Size: 7 3/16 x 4 1/2 in. Colorized photograph of East Midway. 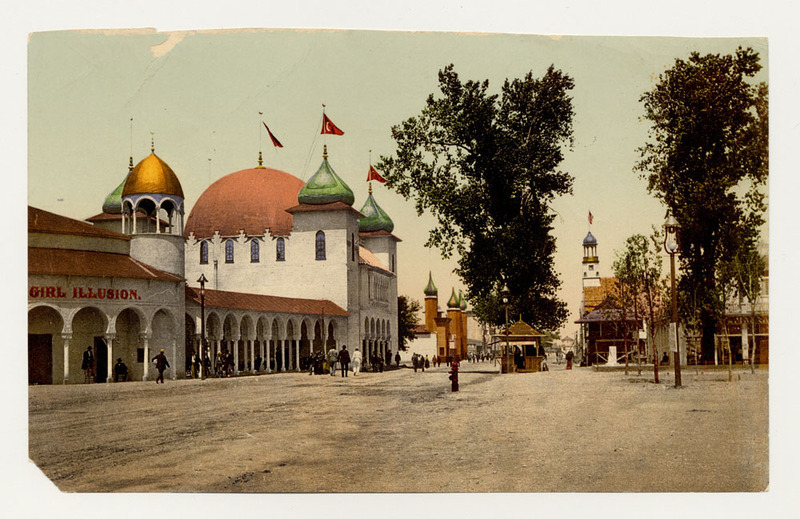 Moorish Palace, Moorish Village, consession stand, and German Village visible.